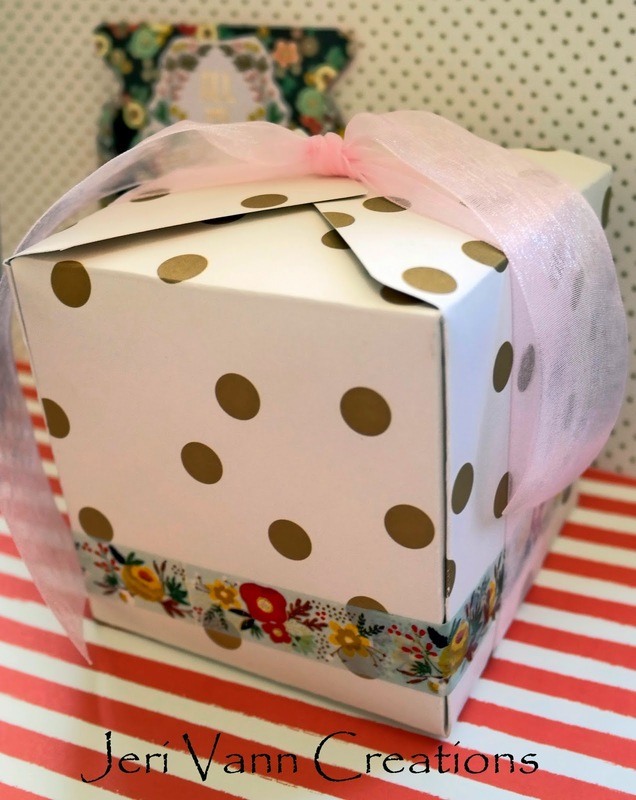 Another fun, custom gift wrap idea. 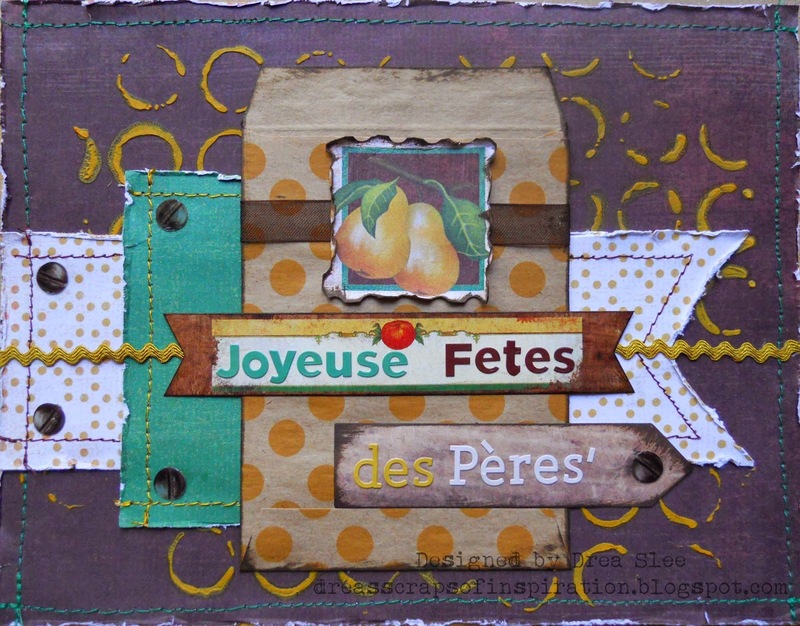 I used the Market Street Nob Hill Heights I Want It All Bundle by My Mind's Eye and the Gift Box Punch by We R Memory Keepers. This handmade necklace is a gift for a good friend, and I love to display my gifts as great as I can. 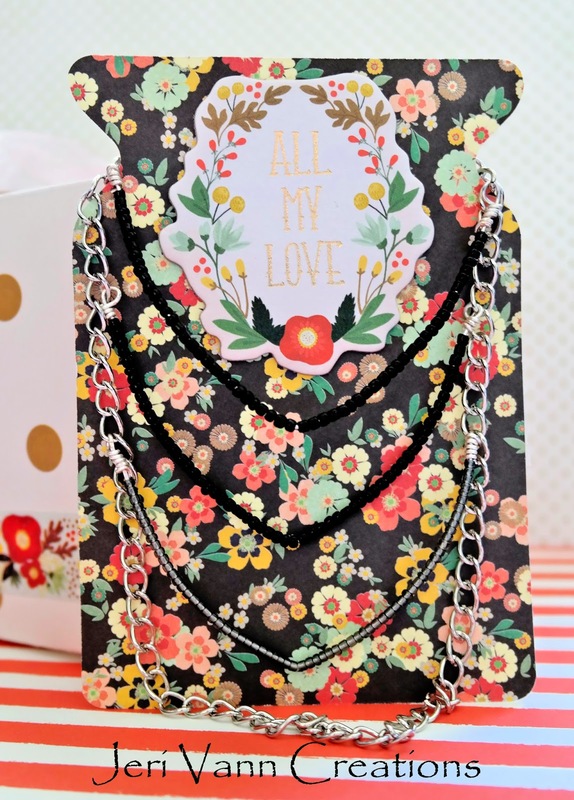 I used the Gift Box Punch, and notched each side, so I could wrap the necklace around the card. 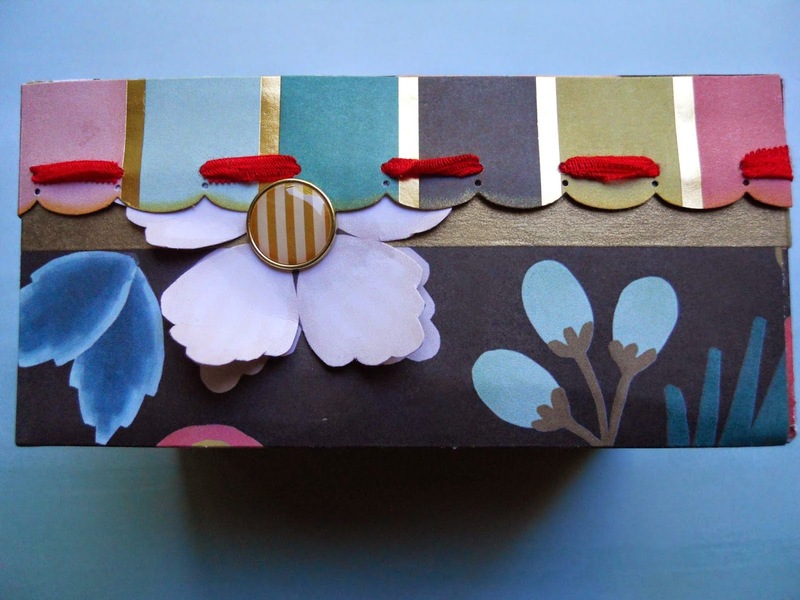 I also used the Gift Box Punch to make the gift box. 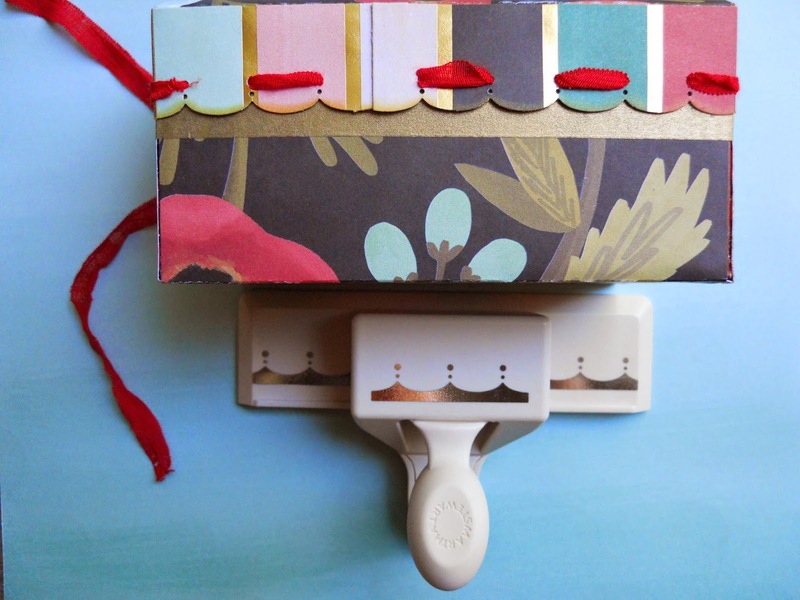 And the packaging couldn't be more adorable with the fun paper in this My Mind's Eye bundle! If you haven't bought this super-fun Market Street Nob Hill Heights I Want It All Bundle from FotoBella yet... You need to!! 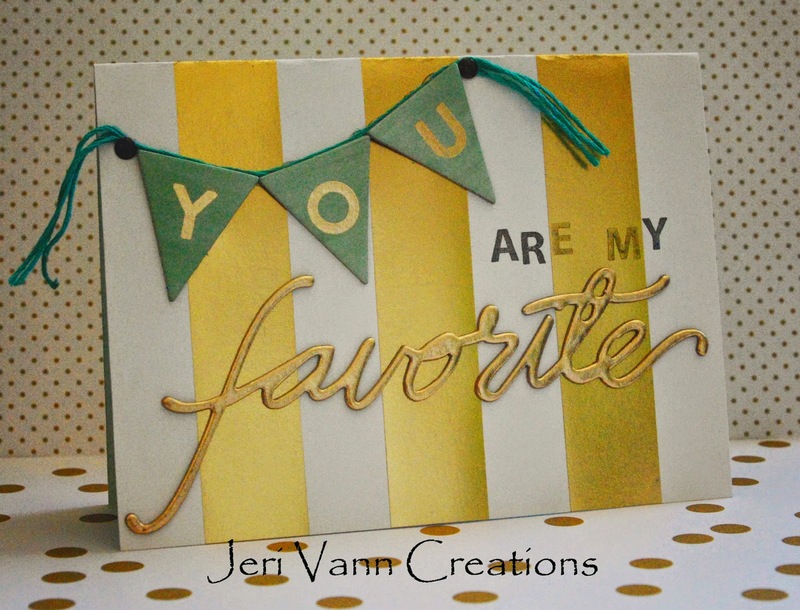 I can't get enough of the fun metallic gold options and prints in this bundle. Here is a card I made for my cousin, celebrating her soon-to-arrive baby boy! 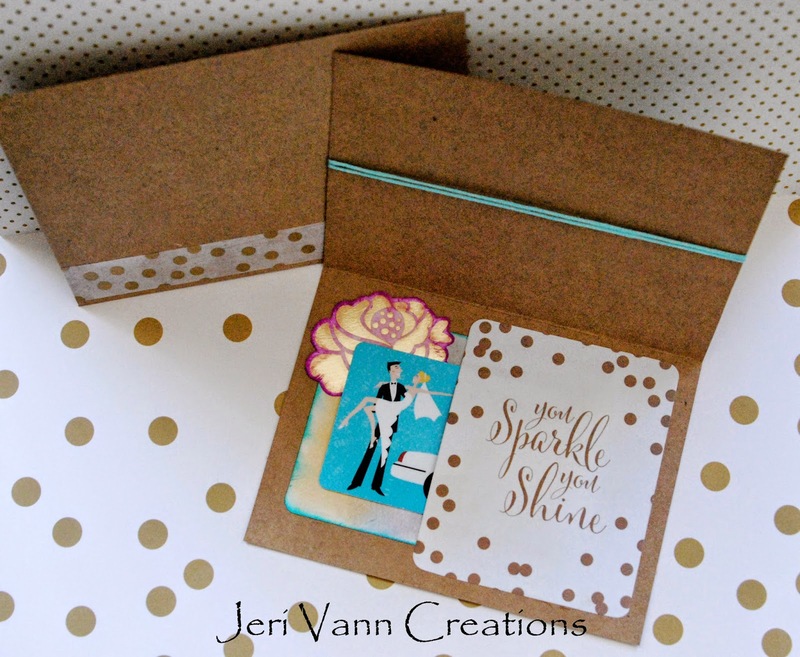 The 3x4 cards in this bundle are the perfect size to create gift card pockets. I love summer for numerous reasons,.. One, I love how many weddings, parties, birthdays and events there are! 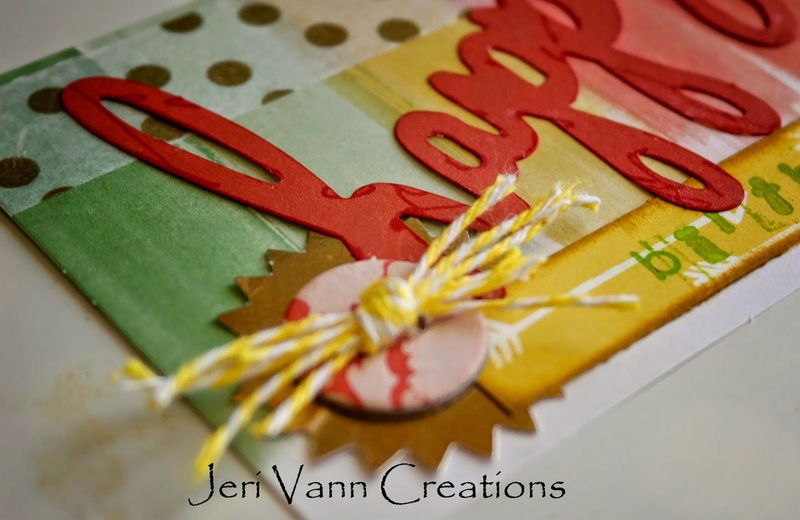 I love creating handmade cards and gifts for my friends and family. This month alone I get to put together custom cards, gifts and decorations for anniversaries, weddings, baby showers and birthdays! I have been busy,.. to say the least! Here is one of the wedding cards I have crafted.. 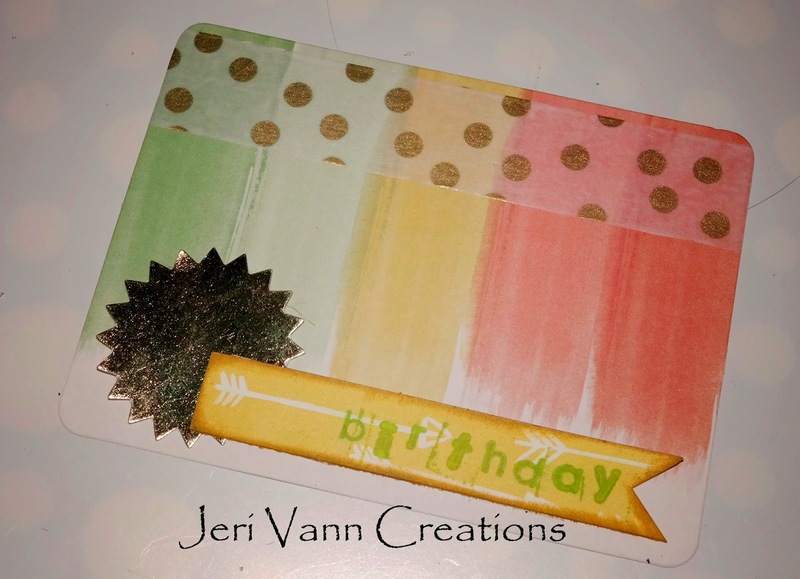 I created a cute little gift card pocket because I loved the image on the card and I wanted it to be a focus of the card. I used some distress inks on the die-cuts to match the colors of her wedding. 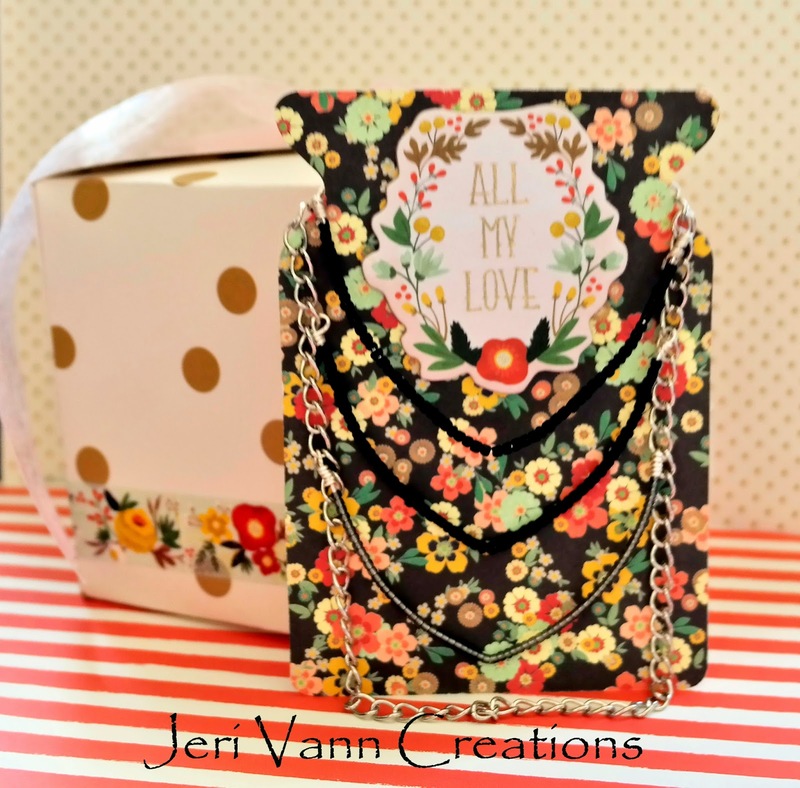 Hello Jessica here with you today to share a layout I did using the Echo Park Walking on Sunshine kit. I have to say that this is a fun summer kit. The color are not as bright as a lot of the other summer lines out there. It is a little fun to be using these calmer colors. I have a small confession. Sometimes I struggle with where to start with a layout. 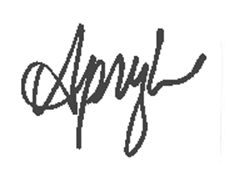 Granted there are several sketch sites out there that you can go to for fantastic inspiration. However, there is another idea that you can do. Look through your own layouts. Is there one that you just loved and could change up a little to have a new layout. That is what I did for this layout. I went through some older layouts and saw a layout similar to this one below. I decided it would be perfect for a simple summer layout of my kids and our friends kids get all messy eating popsicles a fun summer staple in our house. So go through those layouts! I'm sure you have a ton of inspiration right in your own scrapbooks. 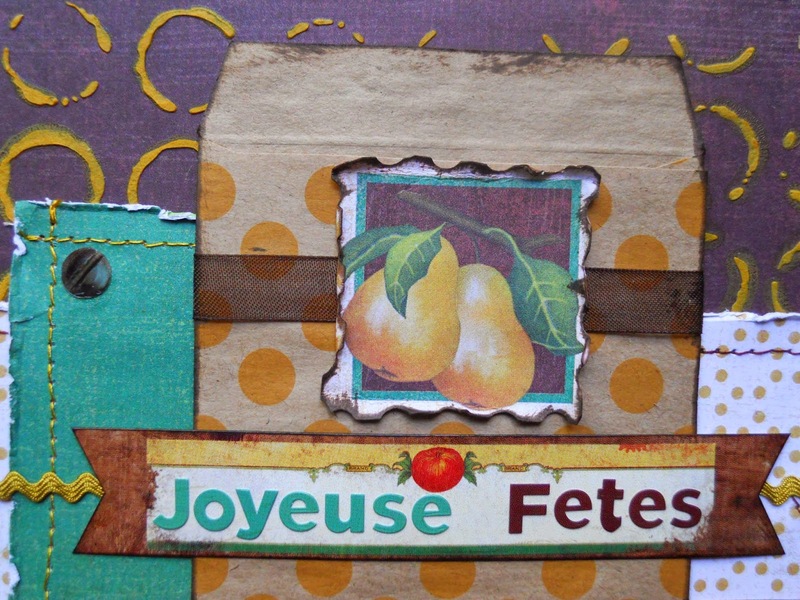 Find this watercolor 3x4 Card. 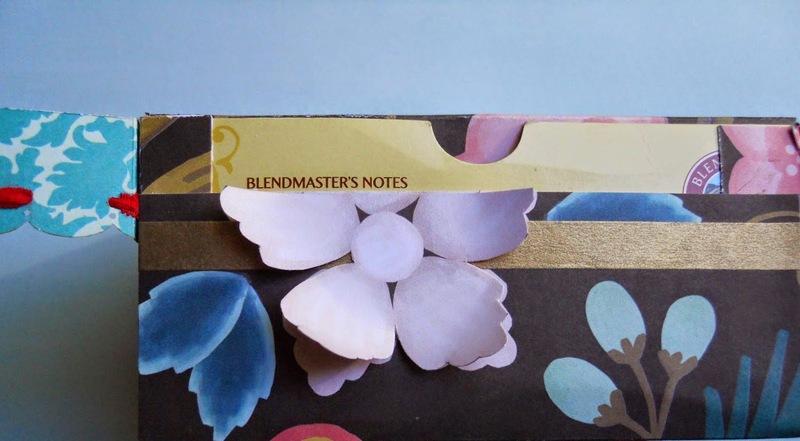 Using the Gold Dot Decorative Tape, stick a strip across the top of the Card. Cut a 3” x ½” strip from the Strips Sheet. Cut a notch in one end. Using a gold, or dark yellow ink pad, ink the edges of the banner strip. 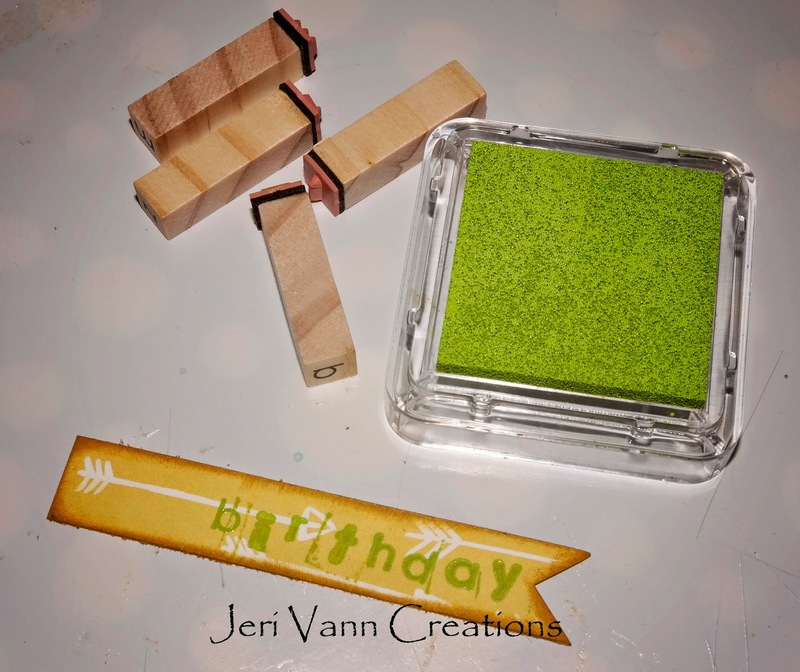 With small alphabet stamps and green ink, stamp ‘Birthday’ on the banner strip. 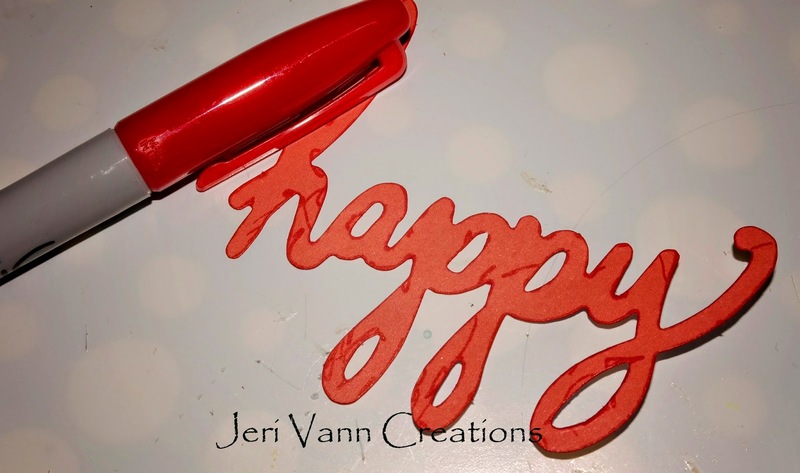 With a red marker, run it along the edges of the Happy Cut Out. I also added a few sporadic marker lines throughout the wood, just to give it some detail. 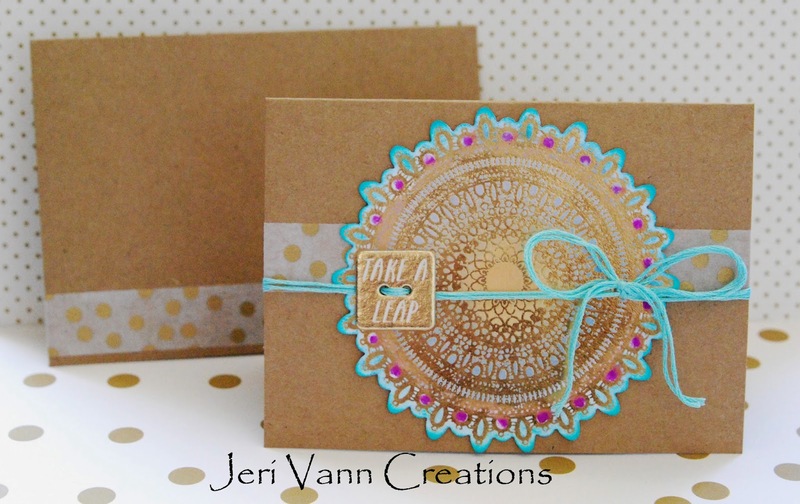 With double sided tape, stick this circle Gold Cut out in the bottom left corner. Stick the banner strip on top of the Gold Circle, along the bottom of the Card. 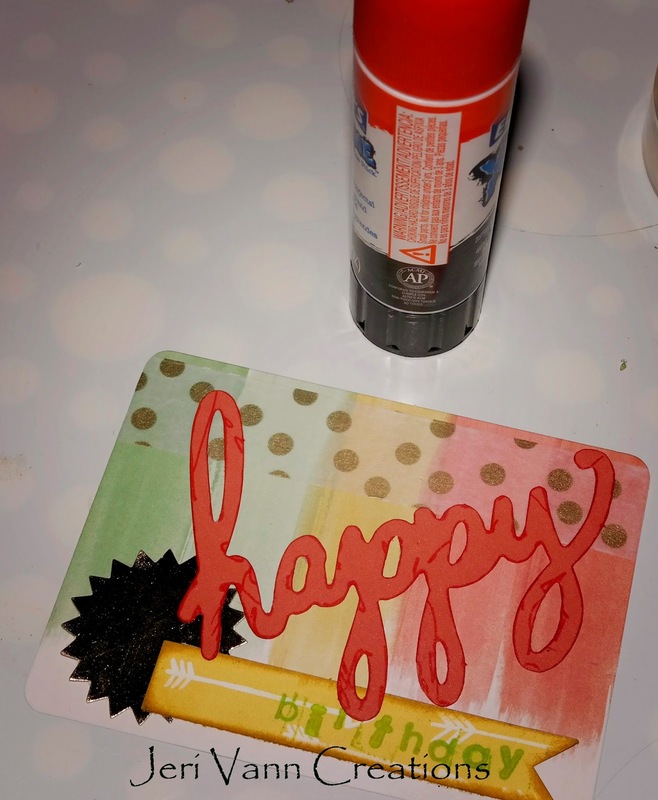 With a glue stick, smear glue on the back of the Happy Cut Out and stick it to the Card, at an upward angle. Grab some yellow bakers twine. Wrap it back and forth a couple times. Tie a knot in the center. I made this about 2” wide, finished. Stick the Red Chipboard Button in the center of the Gold Circle. With some hot glue, stick the bakers twine knot in the center of the button. 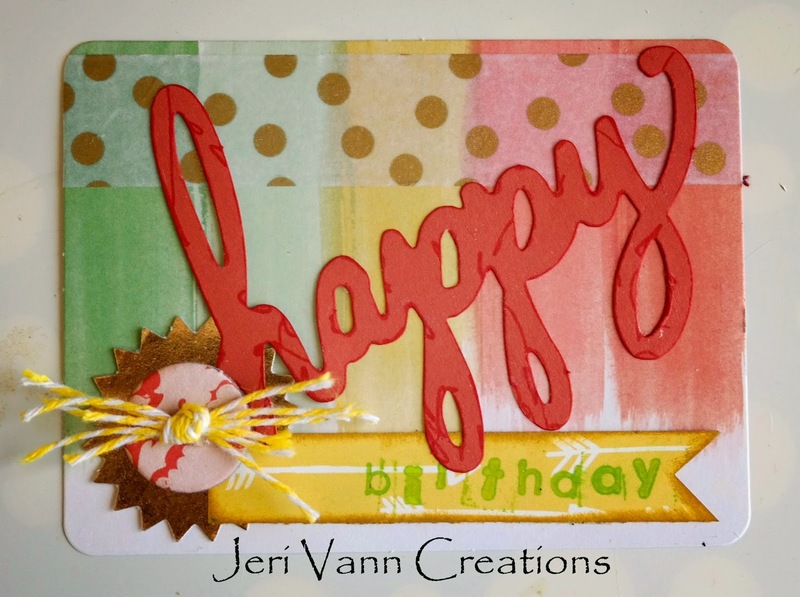 Here is your finished Happy Birthday Card! Hey there everyone! I have been lovin' the new collection from Carta Bella, Ahoy There! I've been waiting for the perfect collection to use for my cruise photos from 2012 and this is it. I created this layout for the FotoBella Design Team. Celebrating the New Year on a cruise is a blast! Here's me and my little man at Formal dinner on New Year's. Such a handsome boy. I thought the navy's in the various papers were very elegant looking for this photo. By adding the journal card sentiment, it gave the pop of color I needed and I complimented it by making a banner with the red paper. Here are some detail shots of the color accent that really make the layout. The striped brad is from My Mind's Eye Necessities Red Collection. It matches perfect and both these great collections can be found at FotoBella.com. 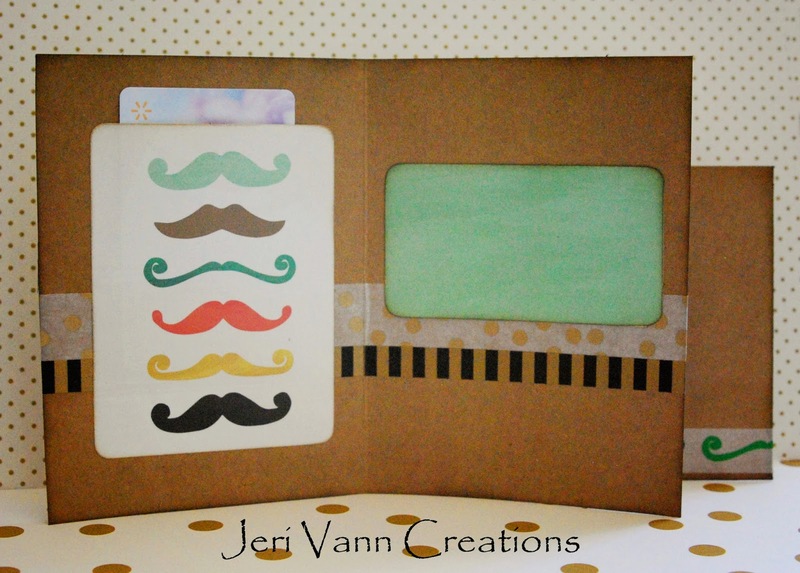 Fun cruise photos and fun papers from Carta Bella's Ahoy There Collection make for a great layout. The red striped vellum that looks amazing in this layout is from My Mind's Eye Necessities Red Collection. This layout has some real pizazz with the stripes, chevrons and other fun patterns. Embellishments are enamel dots from My Mind's Eye Blue Necessities. I really love all the fun layers, stickers and alphas. Happy Father's Day from FotoBella!! Here's the card that I made for my wonderful Dad, using Basic Grey's Herbs and Honey I want it all bundle. This bundle is so versatile, if you remember, I also made my Mom's Mother's Day card with it too. 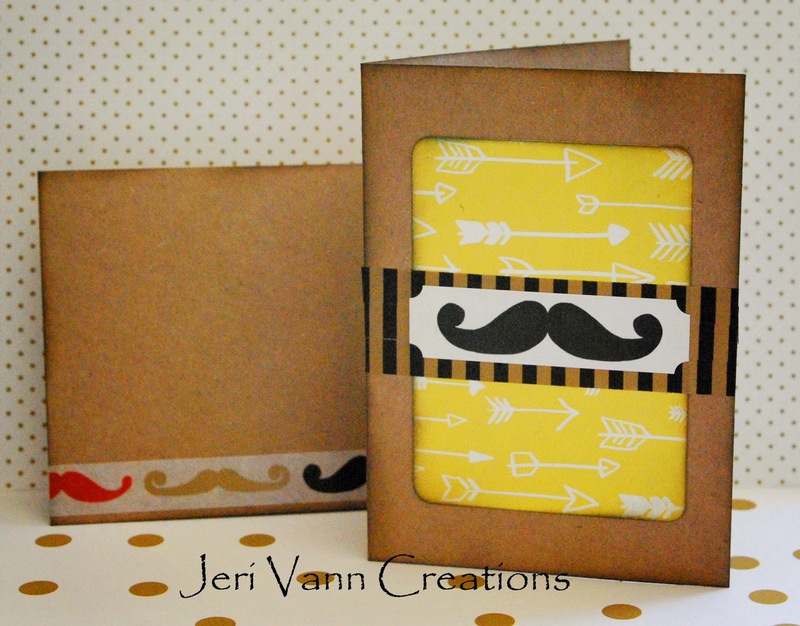 The Printed Kraft Bags were once again the perfect little pocket for cash or a gift card! I used the alpha stickers to spell out Happy Father's Day in French. The little screws came in the Die Cuts and Transparencies, along with the wood stake. The background was stenciled with a golden yellow gesso. I did some machine stitching, using three different colors, and added the brown sheer ribbon and yellow rick rack from my own stash. Have a fabulous Father's Day!! I decided to use the new, beautiful, My Mind's Eye (Market Street ~ Ashbury Heights), I want it all bundle, from FotoBella, to pretty up an ordinary Celestial Tea box, that I normally would've thrown away. Since it was Cinnamon Spice it smells really good too! 1. Measure your box and score fold lines accordingly. I used almost a whole sheet of paper to cover and glue it. 2. 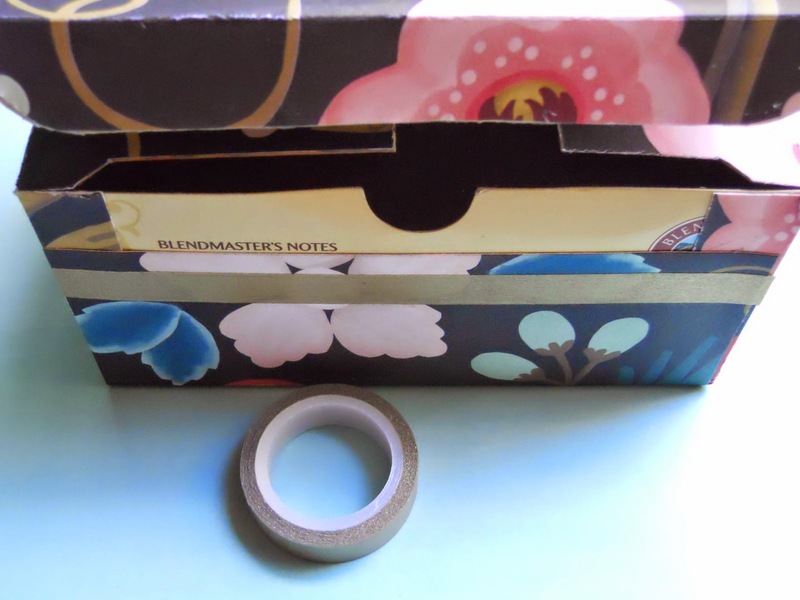 Apply the gold Decorative Tape about 1 1/4" from the top, going across all sides of the box. 3. 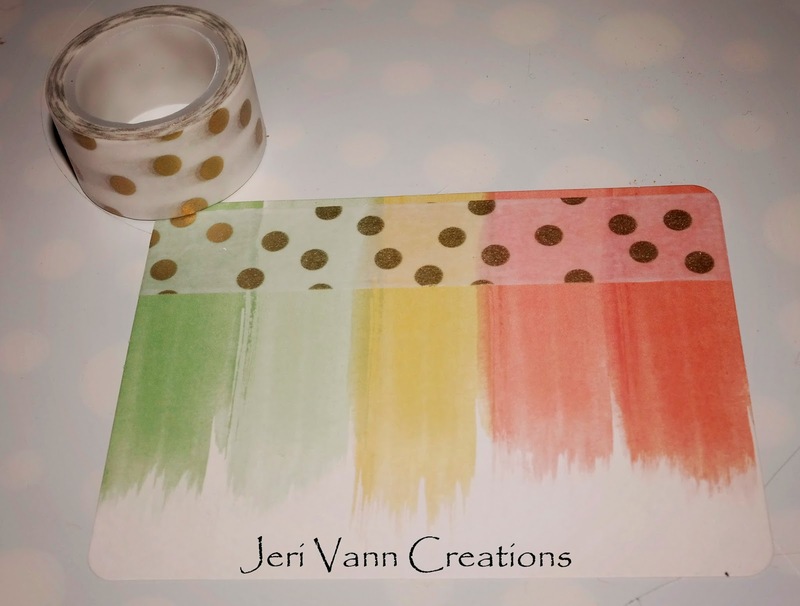 Using the striped paper, cut and punch a strip to go across the top of the tape. I used a Martha Stewart Scallop punch, scored the fold lines, and inked the edges with gold ink, before threading my red ribbon through the holes. Then I glued it over the top of the tape starting in the back, but leaving the front to glue in a later step. 4. 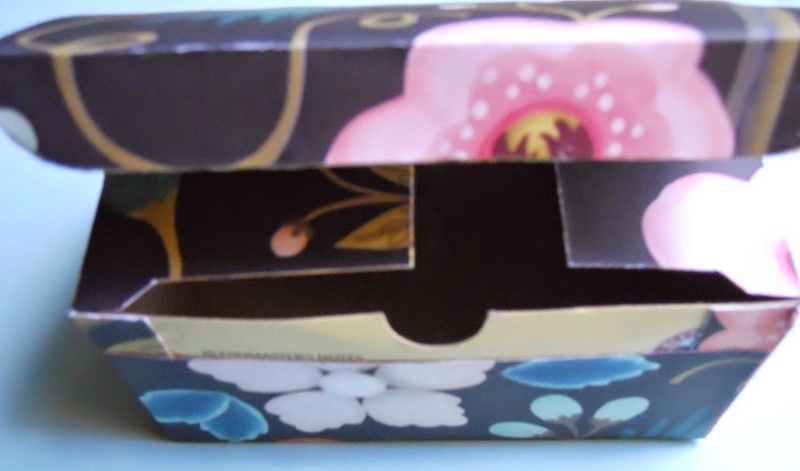 From another sheet of the same floral paper (Garden's Paper), I cut the same white flower that's on the front of the box and curled the petals up, adhering it on top. 5. Now you can glue the rest of your punched strip over the front of the box. Then add your brad to the center of the flower. 6. 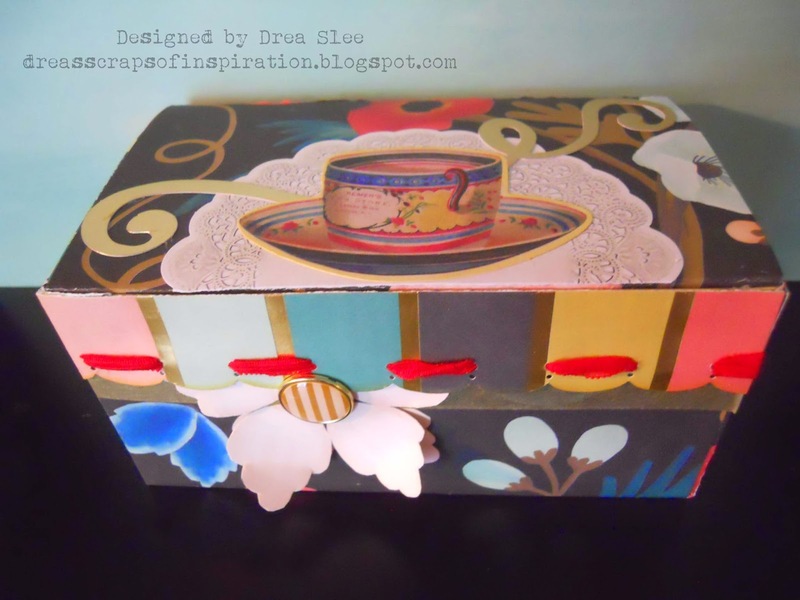 For the top of the box I just added the doily, teacup, and gold flourish that I got from the Mixed Foil Bag.